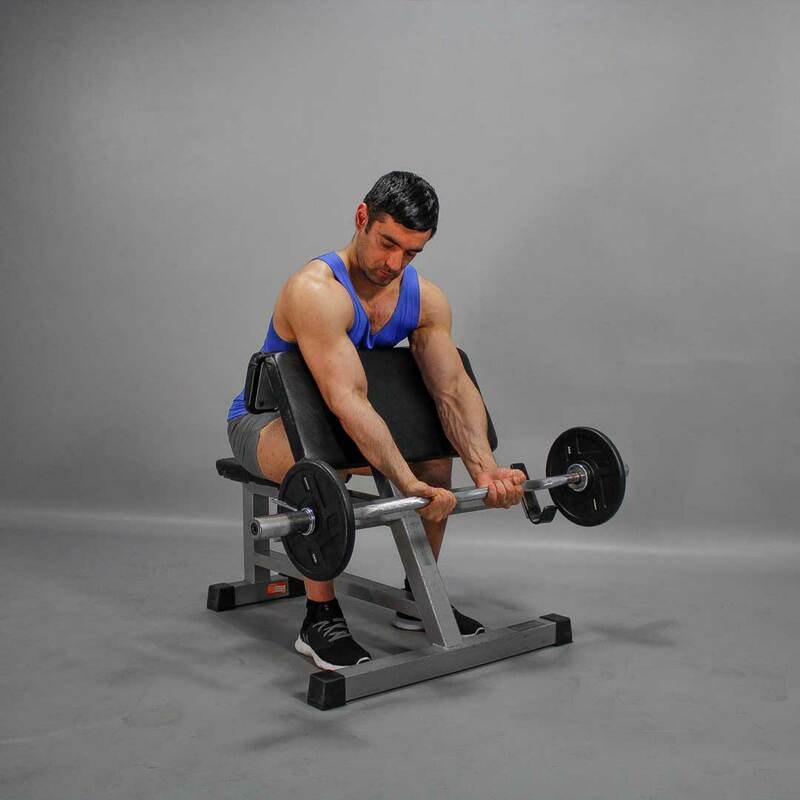 For this exercise, you need the EZ-bar and Scott bench. Sit on the bench, resting your elbows on top block. Hold a barbell at the inner bend. The palms should face forward. The chest is pressed to the top block, elbows are locked. Hold the barbell in shoulder width grip. This is your starting position.